I was never a big fan of mobile gaming. Any games on my iPad or my phone seemed so ersatz. The controls on an XBOX or on a keyboard seemed so much more natural. Super Pixelander is one of the few exceptions because the game is so simple and straightforward, and yet it is addictive enough for me to come back and keep playing. 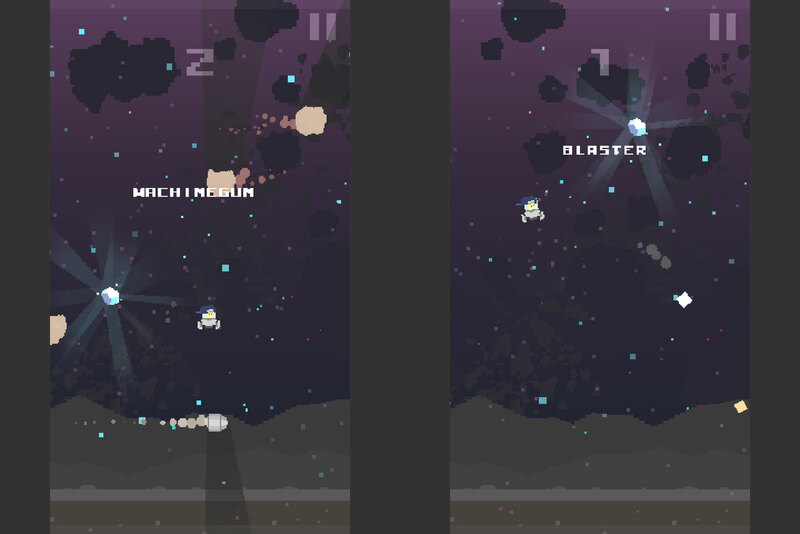 Super Pixelander is a very casual 2D arcade like game where players must navigate and collect space gems on a sub gravity planet while dodging or shooting incoming threats. Tapping anywhere on the screen thrusts you up, and letting it go slowly lets gravity bring you back down. Tilting the screen and tapping on the screen thrusts you sideways. Tapping on the screen also fires a weapon which can be used to destroy incoming objects. 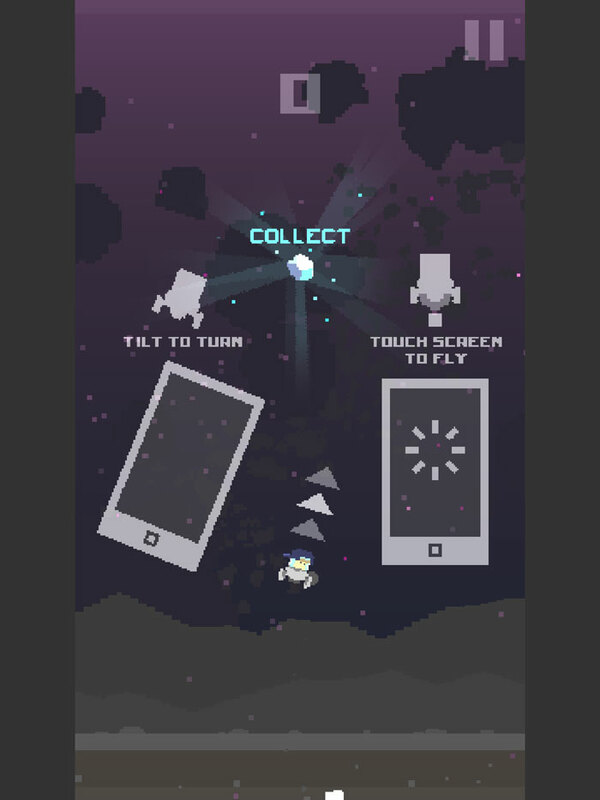 The aim is to collect as many space gems as you can, and upon collecting each gem, you get a random weapon. First time you play, the weapons are pretty much straight forward, but as you advance into the game and collect more space gems, you unlock much more complex weapons. Sounds easy right? Well, you also have to dodge bullets, missiles, floating asteroids and lasers. The graphics on this game are a lot like Flappy Bird or Ironpants. There is a slowly moving background while all the action happens in the foreground. I liked the colour combination for the objects in the foreground, where everything has a two-toned effect to define highlights and shadows. The soundtrack on the other hand, was not to my liking. It goes well with the game, but I prefer to play my own playlist. However, the audio of the weapons, and the missiles were arcade-like, so the whole game goes well together. Being a completely free game, this game is supported by ads, and although they aren’t distracting or anything, they do get a bit annoying at time when you click on the ads by mistake. Super Pixelander is a very retro like game with self-contained sessions, so it’s brilliant for casual gameplay. The game provides you with new weapons as you advance and hence, increases in complexity, but sadly, after a few weapon upgrades, collecting space gems gives you hats as if they ran out of weapons. Hopefully, with upcoming updates, we will get newer weapons. Paired with simple controls and retro like graphics, this game is just a different take on Lunar Lander which also makes the concept similar to one of those many arcade style, endless games on the App Store, like Flappy Bird, or Temple Run.